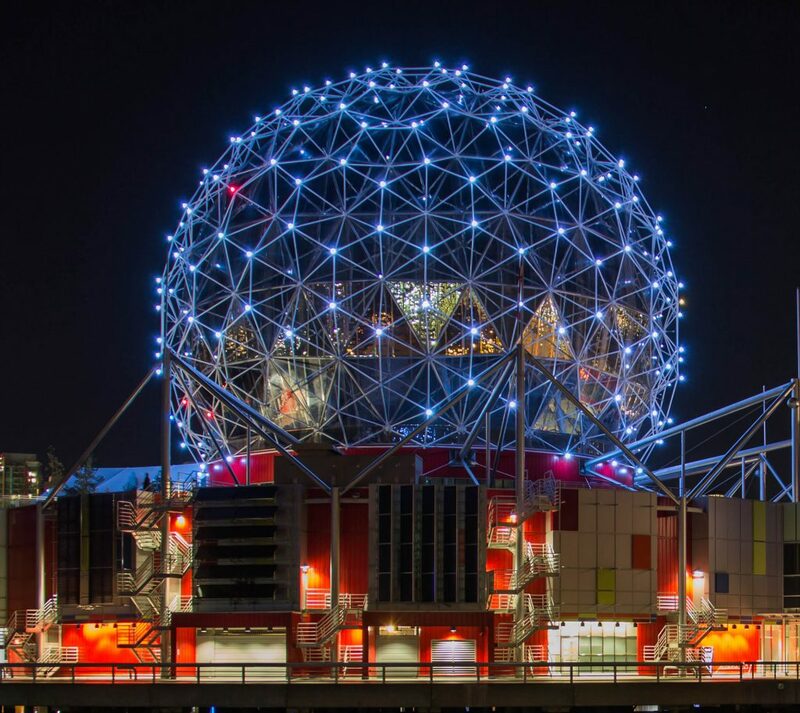 We’re at month 9 of our Vancouver Improv Sampler, and this month we’re inspired by a photo of Science World at Telus World of Science. 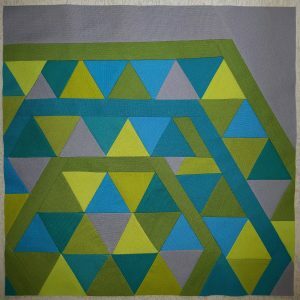 This month’s photo has a circle, but it also has lots of triangles to play with if you’re tired of curved piecing. You could play off the hexagons, or the mondrian-inspired panels on the bottom right side of the photo. This is how amy was inspired by the image, but you may interpret it entirely differently. That’s the great thing about this project! Bring your blocks back to the October meeting to share with everyone else!